It’s a new milestone for SEIS (Seismic Experience for Interior Structure). 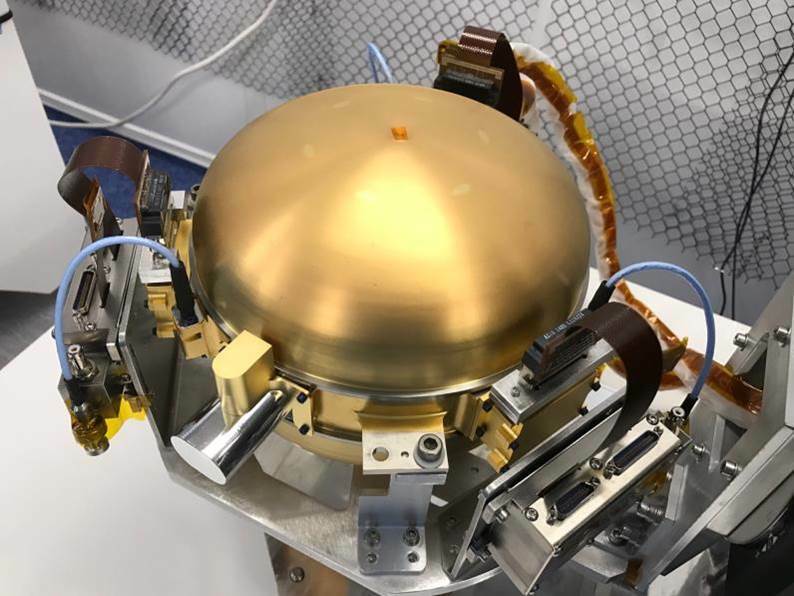 The instrument will soon be studying Mars’s internal structure on board NASA’s InSight lander. The flight model sphere, the seismometer’s primary subsystem, has passed its first validation tests. The InSight mission was originally schedule for launch in 2016 but had to be delayed to 2018 due to a technical problem on the SEIS instrument. The flight model sphere is the primary subsystem for the SEIS instrument. It was designed by Sodern (a French optical and space instrumentation company) under the supervision of the Institut de Physique du Globe de Paris (IPGP) and delivered to CNES on 27th April. Tests were performed by Sodern and completed on Sunday 30th April. The first step was to assess the mechanical and electrical integrity of the sphere itself after its trip from Paris to Toulouse, and to verify the interface’s compliance before installing it onto the instrument. Then, a series of tests were performed on the fully-assembled instrument to see if the three low-frequency seismometers, vacuum-sealed inside the sphere, were operating properly in the instrument’s electrical and mechanical environment. Each of these seismometers is able to detect movement on a scale of 10-11 metres, about the size of an atom. To guarantee this level of accuracy, they are placed in a vacuum and the sphere must remain hermetically sealed for the duration of the mission. SEIS’s accuracy will allow InSight to study Mars’s internal structure (core, mantle structure, etc.). Initial tests were successful, and further testing on the fully-assembled instrument were authorised. It was transferred to Intespace facilities in Toulouse for vibration tests, completed on 19th May. All requirements were met, and SEIS will be delivered to Lockheed Martin at the end of July so it can be integrated to the InSight lander, scheduled to launch for May 5th 2018.